For various Magento online merchants, dealing with hackers is one of the most perennial problems they have to face. Therefore, Magento 3 Security extension v1.1.2 is developed as a guard to prevent e-commerce enterprises from being preys for hackers. Although recently introduced, this extension demonstrated its importance in keeping online business safe. Among various highlighted features provided by security extension, Login Log is considered to be significantly helpful in supporting business doers manage their stores. 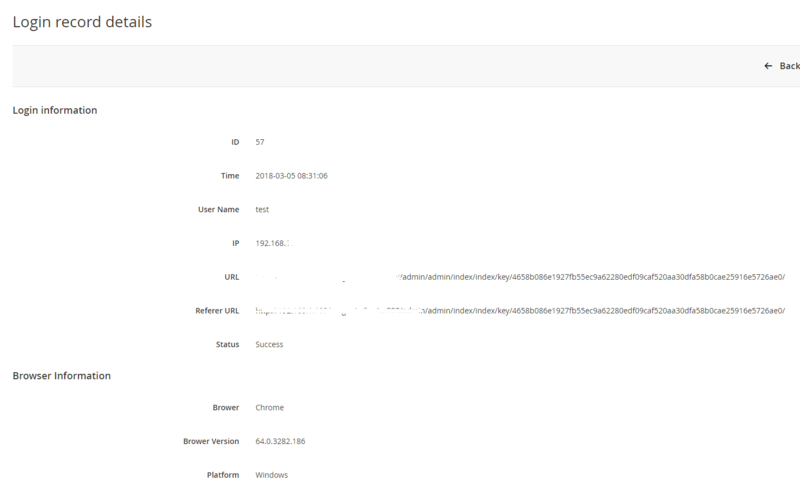 Login Log is a function provided to track and record every attempt to sign in admin page of a store. These attempts are systematically arranged into a log according to chronological order with detailed information about each login. Based on this source of data, shop admins can easily keep track of all IPs used to sign in admin page. How to configure Login Log? From the Admin Panel, admins have to access System > Security > Login Log. After that, a grid of all login attempts will be displayed. This grid includes ID, Login Time, User Name, IP, Browser Agent, URL, Referred URL, Status, and Action. When looking at Status, admins can easily get to know whether a login succeed or fail. From Action column in the grid, shop owners can click on View button to see detailed information of a specific attempt without being distracted by other login attempts. Besides, whenever having unusual login attempts, an email will be sent to store owners to inform them of all accounts trying to sign in admin page without success. By doing so, shop owners will soon notice strange accounts or activities which are not under their control to take in-time actions for the sake of store safety. In the informing email, their are a list of detailed information of all unusual login put in a log including User, IP, and login Time. In addition, there is also another useful feature about login management called last login which is loved by several Magento online merchants. 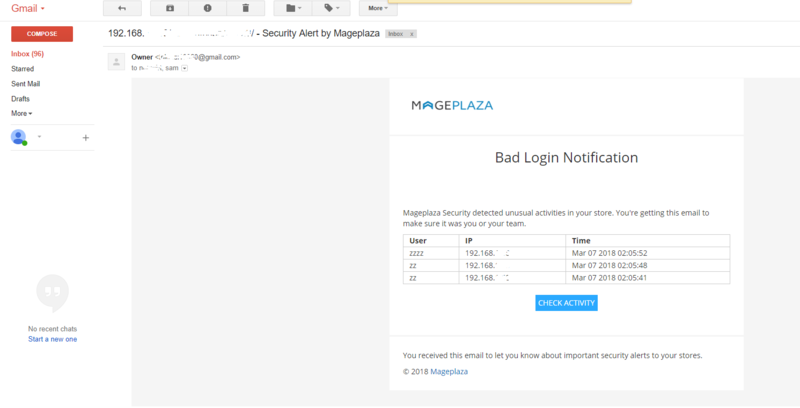 To make use of this function, shop admins can access from Mageplaza > Permission > All Users. After that a grid will appear to show information about latest login attempts of all users and IP address. In this grid, there are 8 contributing elements which are ID, User Name, First Name, Last Name, Email, Last Login, IP Address, and Status. The Last Login column provides detailed date and time of latest logins of all users. The IP Address column functions as a record of all IP used in the last login of each admin account. Shop owners can click on any IP address to access to trace IP management page.